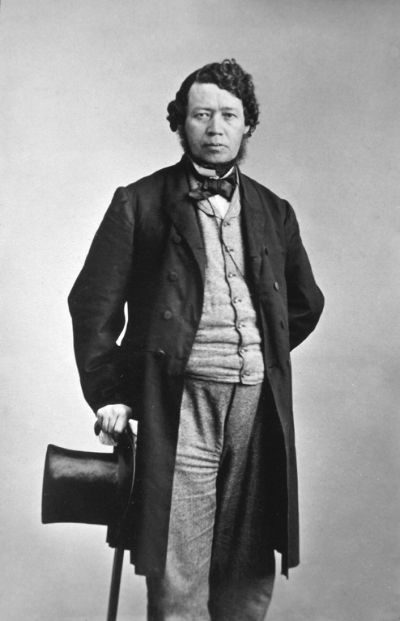 Born in Carlingford in 1825, Thomas D’Arcy McGee was a journalist, poet, historian and a politician. As a young man he was influenced by Daniel O’Connell and Father Theobald Mathew’s temperance movement, but became more radicalised in his political outlook during the Famine when, in his early 20s, he became a Young Irelander, and helped to launch the Irish Rising of 1848. D’Arcy McGee evaded arrest following the failed rising and, wanted for treason, fled to the United States. In 1857 he moved to Montreal, where his political and personal journey saw him move away from republicanism towards a model of self-government within the British Empire. His vision for a country founded on tolerance and diversity was an inspiring force in driving the Confederation of Canada. However for the Fenian Brotherhood, his shift to parliamentary politics was a step too far. He was assassinated on Sparks Street Ottawa in 1868, the year after the confederation of Canada, a week before his 43rd birthday. His story personifies the rich, historic and multi-layered links that join Canada and Ireland. For contemporary Canadians and Irish alike, his inclusive vision provides a prism though which contemporary life can be examined, and hopes for the future can be explored.